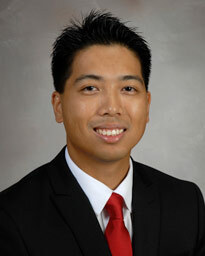 Dr. Andrew Li-Yung Hing earned his medical degree at the American University of Antigua College of Medicine. He then completed his residency training at the Baton Rouge General Family Medicine Program and fellowship at the Baton Rouge General Primary Care Sports Medicine Fellowship Program in Louisiana. Board certified in family medicine and primary care sports medicine, Dr. Li-Yung Hines has a wide range of clinical interests, including ultrasound guided procedures; viscosupplementation; platelet rich plasma (PRP); management of chronic tendinopathy and arthritis; fracture evaluation and management as well as concussion evaluation and management. He treats patients of all ages including little leaguers, high school and college athletes, weekend warriors and active seniors. Dr. Li-Yung Hing provides comprehensive health care from the common cold and health maintenance to non-operative management of injuries and injury prevention. His focus is on helping patients achieve optimal health through promoting healthy lifestyle and disease prevention. He is married and enjoys tennis, cycling, soccer and exercising.